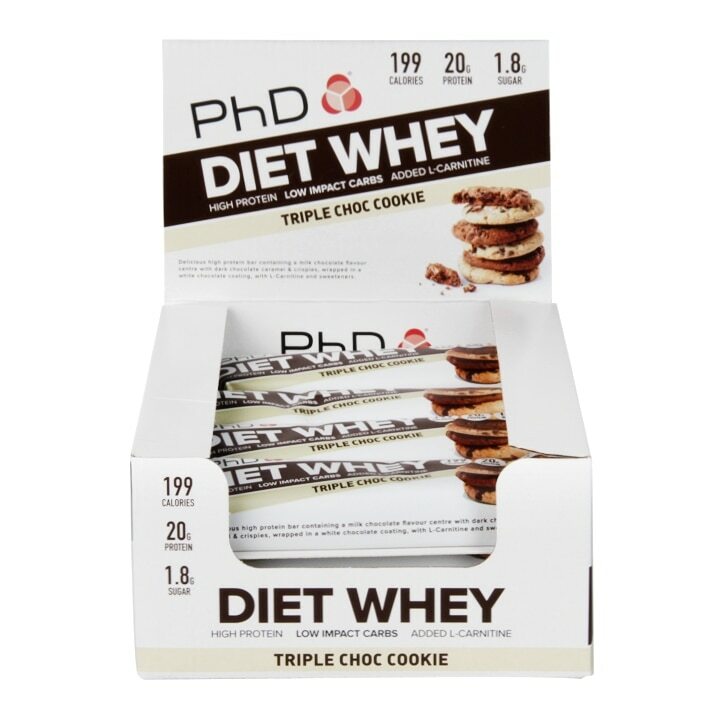 PhD Diet Whey Bar Triple Chocolate Cookie is rated 4.5 out of 5 by 11. Rated 5 out of 5 by Anonymous from My absolute favorite protein bar! Super low in sugar, high in protein and a taste better than any chocolate bar! Rated 4 out of 5 by ECCF from Lovely...if you have a sweet tooth Picked up a few of these on offer for 4 for 3. Very tasty, but might be a bit too sweet for some. Good macros and helps me meet my protein goal.